(Reuters) – Bayer AG on Wednesday asked a California appellate court to throw out a $78 million judgment it was ordered to pay to a school groundskeeper who claimed the company’s weed killers gave him cancer. 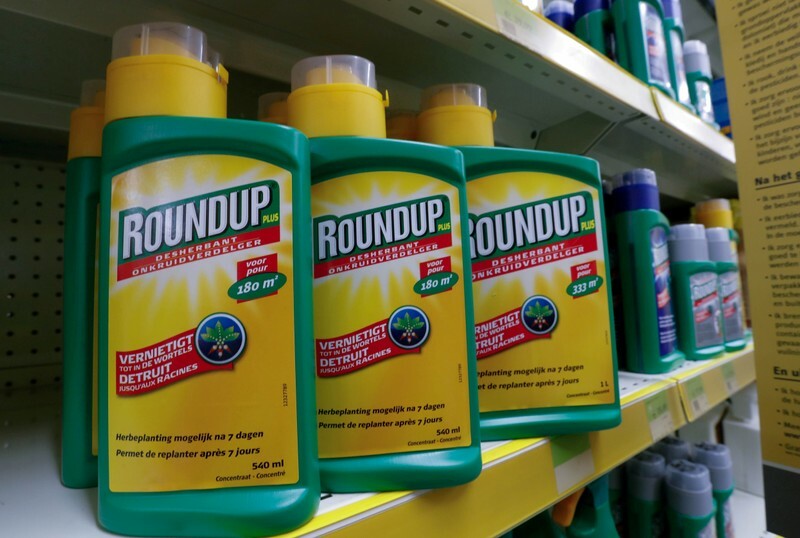 In a filing in California’s Court of Appeal, First Appellate District, the company said that there was “no evidence” that glyphosate, a chemical found in the company’s Roundup and Ranger Pro products, could cause cancer. “Bayer stands behind these products and will continue to vigorously defend them,” the company said in a news release. The widely-used weed killers are made by Monsanto, which Bayer acquired last year for $63 billion. The company said that if the court did not rule in its favor, it should at least order a new trial, arguing that a lower court judge had improperly prevented jurors from hearing evidence that the U.S. Environmental Protection Agency and foreign regulators had deemed glyphosate not likely carcinogenic to humans. A lawyer for the groundskeeper, Dewayne Johnson, could not immediately be reached for comment. Johnson sued Monsanto in 2016. In August 2018, following a trial in the Superior Court of California in San Francisco, a jury awarded him $39 million in compensatory damages and $250 million in punitive damages, a total of $289 million. The verdict, which marked the first such decision against Monsanto, wiped 10 percent off Bayer’s value, and shares have since dropped nearly 30 percent from their pre-verdict value. Judge Suzanne Bolanos, who oversaw the trial, then issued a tentative opinion saying she planned to strike the entire punitive damages award because there was no evidence Monsanto acted with malice. Following a hearing last October, she instead cut the award to $39 million, for a total judgment of $78 million. In another brief filed with the appeals court on Wednesday, Bayer said that decision came after newspaper articles and emails from five jurors in the case meant to “pressure” Bolanos to uphold the punitive damages award. Bayer, which faces more than 11,000 U.S. lawsuits over glyphosate, says decades of scientific studies and real-world use have shown glyphosate to be safe for human use. JERUSALEM (Reuters) – An architect of a still-secret U.S. plan to end the Israeli-Palestinian conflict took to Twitter again on Wednesday to disclose another element that it would not contain – a confederation with neighboring Jordan. U.S. President Donald Trump’s Middle East envoy, Jason Greenblatt, had already tweeted “False!” on Friday to what he said were reports that the proposal would give part of Egypt’s Sinai desert to the adjacent Palestinian enclave of Gaza, which is ruled by the Islamist Hamas group. On Wednesday, Greenblatt denied that the plan envisages a confederation involving Jordan, Israel and the Palestinian Authority, which administers limited self-rule in the occupied West Bank. “@KingAbdullahII & #Jordan are strong US allies. Rumors that our peace vision includes a confederation between Jordan, Israel & the PA, or that the vision contemplates making Jordan the homeland for Palestinians, are incorrect. Please don’t spread rumors,” Greenblatt wrote. White House senior adviser Jared Kushner, another main architect of the peace proposal, said on Tuesday it would be made public after the Muslim fasting month of Ramadan ends in June. Kushner, who is married to Trump’s daughter Ivanka and spoke at a Time magazine forum in Washington, did not say whether the plan called for a two-state solution, a goal of past U.S. peace efforts. Palestinian leaders have called for the establishment of an independent state alongside Israel in the West Bank and Gaza Strip, with East Jerusalem as its capital. Israeli Prime Minister Benjamin Netanyahu, who won a fifth term in an election two weeks ago, laid down a series of conditions for Palestinian statehood in a major policy speech in 2009. But U.S.-brokered peace talks collapsed in 2014, partly over the expansion of Israeli settlements in occupied territory Palestinians seek for their state. In a last-minute election campaign promise that angered Palestinians, Netanyahu said he planned to annex Jewish settlements in the West Bank if he was again chosen as Israel’s leader. The U.S. proposal, which has been delayed for a variety of reasons over the last 18 months, has two major components. It has a political piece that addresses core issues such as the status of Jerusalem, and an economic part that aims to help the Palestinians strengthen their economy. Palestinian leaders have said Trump cannot be an honest broker after he broke with long-standing U.S. policy and recognized Jerusalem as Israel’s capital in 2017 and moved the American embassy to the city last May. PARIS (Reuters) – Shaken by five months of often-violent “yellow vest” protests, Emmanuel Macron will announce a package of measures that could include lower taxes and the abolition of France’s elite Ecole Nationale d’Administration to quell the unrest. Macron’s policy response is the result of a three-month long national debate, during which he rolled up his sleeves on a weekly basis to discuss issues from high taxes to local democracy and decaying shopping streets with local mayors, working parents, students and workers. For Macron, whose monarchical governing style early on prompted accusations of arrogance among voters and contributed to a sharp drop in his popularity, his first news conference at the Elysee palace will be crucial to regain lost ground with voters. “He wants to break the image of someone who’s stubborn and who never listens to anybody,” Arnaud Mercier, an expert in political communication at the Institut Français de Presse at Assas University in Paris, told Reuters. 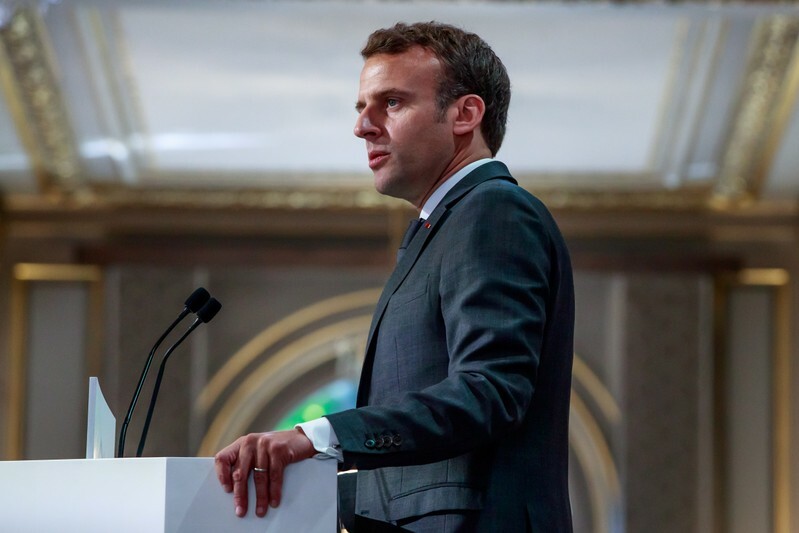 Macron is expected to relaunch a reform drive that started with a bang with an easing of labor regulation in the first months of his mandate but which was derailed by the protests. 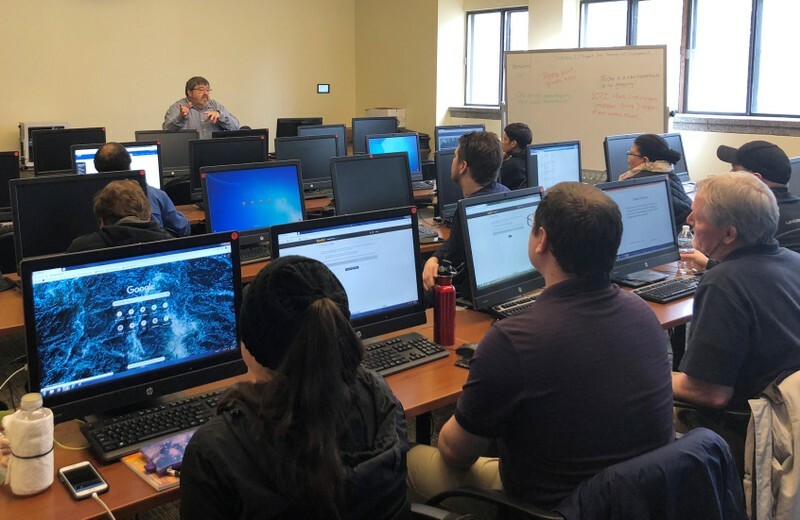 The president wanted 2019 to see an overhaul of pensions – unifying into one myriads of different pension systems including deficit-ridden ones at state-owned companies – and unemployment insurance. But little progress has been made on these. Instead, Macron had to pour 10 billion euros into raising benefits for the poorest workers and halting tax rises on fuel in the face of the yellow vest protests. “It’s also a symbol that he wants to launch the start of Act Two of his mandate,” Mercier said. Macron was initially scheduled to announce the policy measures last Monday but was forced to postpone after a fire tore through the Notre-Dame de Paris cathedral, badly damaging a symbol of France’s national soul. Most of the policies he was to lay out have been leaked. They included, French media reported, a cut in income tax, re-linking the lowest pensions with inflation, halting the closure of hospitals and schools in rural areas, and abolishing the ENA civil service college that has for many become a symbol of a privileged elite. The Elysee did not confirm or deny the policies. While the leaks may have spoiled the “wow effect” Macron was hoping for, it may also have given the 41-year-old a chance to gauge public reaction. In a sign Macron has not given up on his reform agenda, he is also expected to announce measures to make the French “work more”, French media reported, a potentially explosive move in a country where pension and labor reforms often push millions onto the streets. 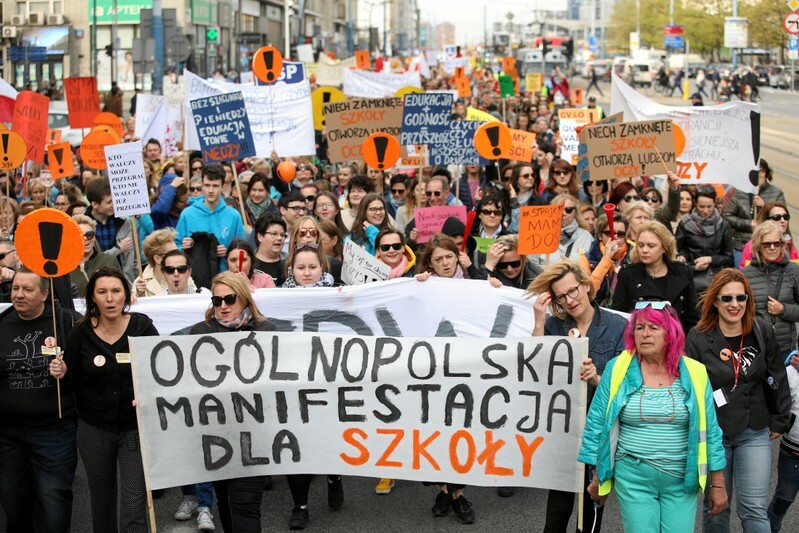 Lawmakers in Macron’s party did not rule out possible changes to the 35-hour working week or the scrapping of a bank holiday to fund measures to help take care of older people. “There should be no disavowal of the first part of the mandate, but there should be no stubbornness either,” Sibeth Ndiaye, the government’s spokeswoman, told reporters. The leaked reforms were met with underwhelming reactions from prominent “yellow vest” figures and political opponents. “We’ll surely have a lot of things to say after the predictable disappointment from Macron’s announcements, if the leaks in the media are any guide,” Sophie Tissier, a high profile “yellow vest” figure, told BFM TV. MOMBASA (Reuters) – A British man accused of helping to plan terrorist attacks in Kenya was found guilty on Wednesday of possession of bomb-making materials but acquitted of conspiracy to commit a felony. Jermaine Grant, from east London, has been in custody since he was arrested in 2011. At the time he was sharing an apartment with another Briton, Samantha Lewthwaite, dubbed the “White Widow”, who had been married to one of the four suicide bombers who attacked public transport in London on July 7, 2005, prosecutors have said. Chief magistrate Evans Makori said chemicals and a computer memory drive containing bomb-making instructions were found in the house, but that the prosecution failed to prove the charge of “conspiracy to commit a felony to the required standard”. Grant smiled as the ruling was read to court in the Kenyan port city of Mombasa where prosecutors said he had planned a bombing campaign against hotels popular with foreign tourists. He denies all the charges. Grant’s sentencing has been set for May 9. His lawyer Chacha Mwita said he plans to appeal the conviction. “There was no direct or indirect sufficient evidence to link him with conspiracy to mount the explosives,” Chacha told Reuters by telephone. Having previously been released on bail, Grant’s two co-defendants, his Kenyan female companion Islam Warda, and Frank Nyengo, were both acquitted of all charges. In the judgment, Grant was found in possession of explosive materials including hydrogen peroxide, four AA batteries and an eleven centimeter piece of electrical wire. Prosecutors have accused Grant of having ties to the Islamist group al Shabaab, al-Qaeda’s affiliate in Somalia, a charge he denies. 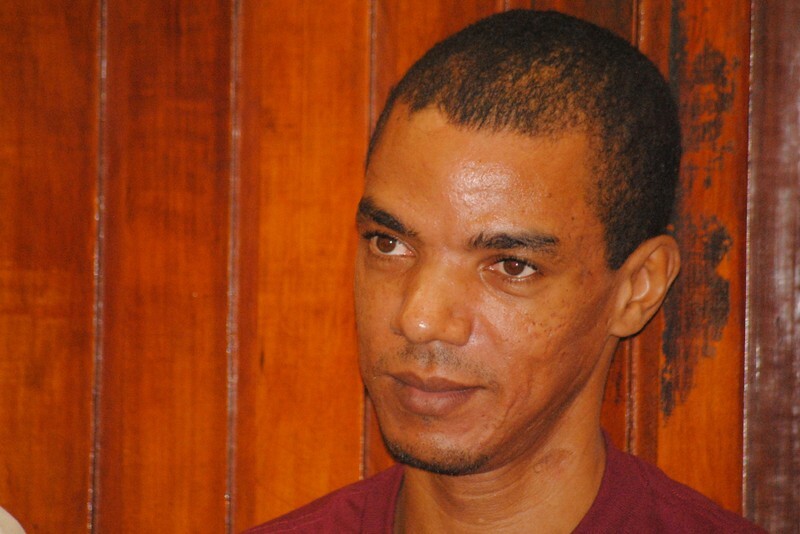 In 2015 a court found Grant guilty of nine counts related to a fake Kenyan passport, including giving a false statement and making false documents, and sentenced him to a year in prison for each count. Grant’s former flatmate Lewthwaite, whose husband Germaine Lindsay killed 26 people in a suicide bombing on the Piccadilly Line of London Underground in 2005, is still at large and wanted in Kenya on charges of possession of explosives and conspiracy. RIYADH (Reuters) – Saudi Aramco, the world’s biggest oil producer, will remain active in the debt markets after its debut $12 billion bond earlier this month, which was “only the beginning”, Saudi Energy Minister Khalid al-Falih said on Wednesday. Falih, speaking at a financial conference in Riyadh, also said Aramco would access the equity markets earlier than expected after the company gained exposure among investors through the bond sale. Many saw the debt deal as a relationship-building exercise with international investors ahead of Aramco’s planned initial public offering, aimed at raising money for the government as Saudi Arabia looks to cut its budget deficit and diversify its economy. Saudi officials have said the new planned listing date is 2021, but Falih told the conference on Wednesday that the share sale “could slip or come forward a little bit”. Aramco received more than $100 billion in orders by April 9 for its debut bond – even after its prospectus said the kingdom would not guarantee Aramco’s notes – but chose to sell only $12 billion. The bond came on the heels of Aramco’s planned $69.1 billion acquisition of a 70 percent stake in petrochemicals firm Saudi Basic Industries Corp (SABIC) from the Saudi sovereign wealth fund. JPMorgan, Morgan Stanley, HSBC, Citi, Goldman Sachs and National Commercial Bank were the bonds’ bookrunners. JPMorgan and Morgan Stanley, along with other banks, worked on the planned stock market listing of Aramco before the move was postponed last year. 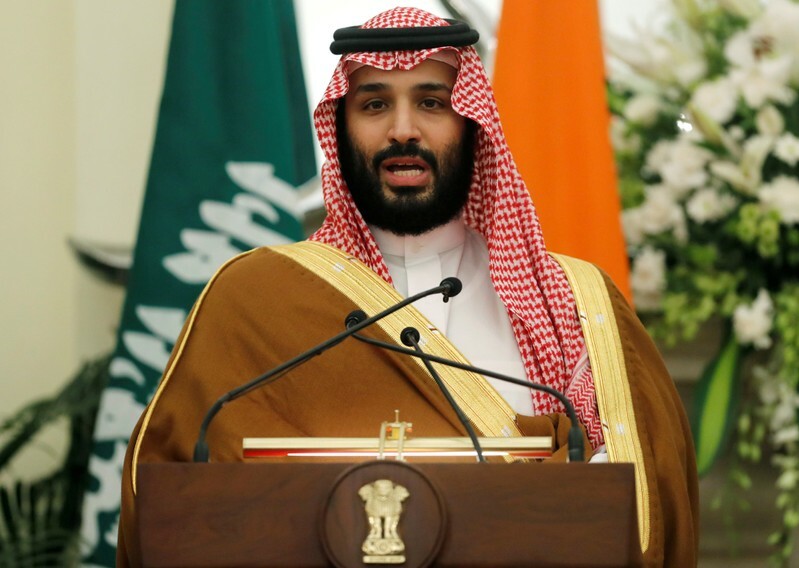 RIYADH (Reuters) – Global finance chiefs who boycotted a Saudi investment summit last year following the murder of journalist Jamal Khashoggi returned to Riyadh this week as the Gulf kingdom gets business back on track. Dozens of Western politicians and business executives pulled out of Saudi Arabia’s showcase summit in October amid global uproar over Khashoggi’s killing at the hands of Saudi agents inside the kingdom’s Istanbul consulate three weeks earlier. A Saudi court has charged 11 suspects in a secretive trial and Western allies imposed sanctions on individuals. But Riyadh still faces criticism with some Western governments saying Crown Prince Mohammed bin Salman ordered the murder. Saudi authorities have denied any connection to the country’s de facto ruler. Big investors in Saudi Arabia appear to be focused on potential deals in the largest Arab economy and the world’s top oil exporter as it opens up under a transformation drive led by Prince Mohammed. HSBC CEO John Flint and Blackrock CEO Larry Fink, who had stayed away from last year’s event, joined panels at the two-day financial forum that began on Wednesday, as did co-president of JPMorgan Chase & Co, Daniel Pinto. The CEO of the London Stock Exchange, who had pulled out of last year’s event, is also scheduled to speak at the financial conference. Also slated to attend is the chairman of Japan’s Mitsubishi UFJ Financial Group Inc, whose CEO decided to abstain from the October summit. Riyadh has been trying for months to refocus attention on its reforms, sending a senior delegation to the World Economic Forum in Davos and unveiling an industrial plan to attract hundreds of billions of dollars in investments in January. The summit is taking place days after Saudi security forces thwarted an attack on a state security building in central Riyadh province, which authorities blamed on Islamic State. On Tuesday Saudi Arabia announced it had executed 37 people in connection with terrorism crimes, the majority of whom were Shi’ite Muslims. Amnesty International criticized the executions as a “gruesome indication of how the death penalty is being used as a political tool to crush dissent” in the kingdom. Asked how Saudi Arabia was addressing national security issues, Finance Minister Mohammed al-Jadaan told the audience the Gulf region is “one of the safest worldwide”. Earlier this month, state oil giant Saudi Aramco received more than $100 billion in orders for its first international bond issue, a record breaking vote of market confidence. 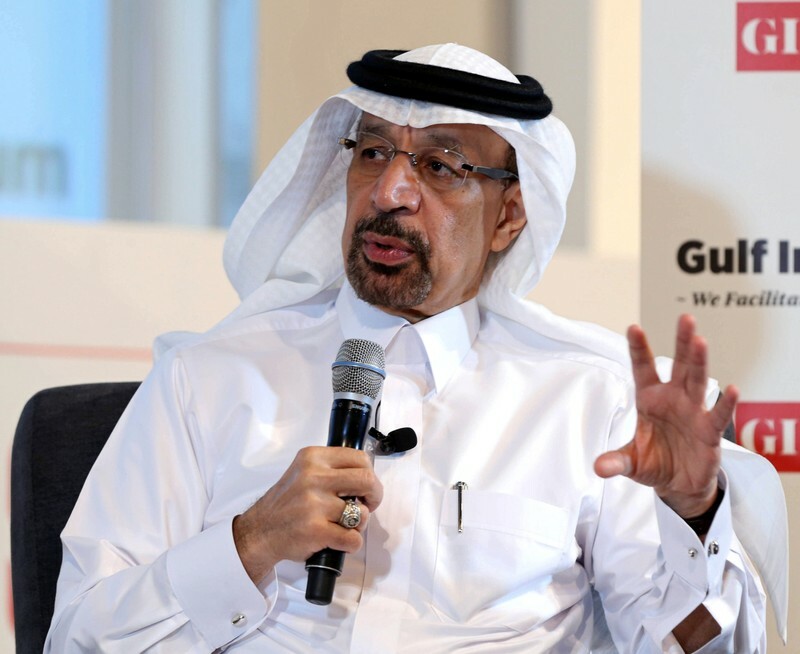 Energy Minister Khalid al-Falih told the forum that Aramco would be active in debt markets and that the $12 billion it raised in its debut bond issue was “only the beginning”. The Saudi stock market has also seen an upsurge in foreign fund flows since the start of 2019 as the market enters global emerging market benchmarks. The index is up nearly 18 percent year-to-date, one of the best performing markets in the region. The domestic financial sector is seeing a relative uptick in activity this year, fueled by an economic recovery from higher oil prices and government-led spending on big projects. Jadaan told the forum that the ministry is launching a 12.5 billion riyal($3.33 billion)initiative to support private sector growth in the kingdom. While some foreign investors are pushing ahead, other firms continue to keep Saudi Arabia at arm’s length, fearing a potential backlash at home over Khashoggi’s murder, the Yemen war and Riyadh’s detention of women’s rights activists. Virgin Group last year suspended talks with the kingdom’s Public Investment Fund (PIF) over a planned $1 billion investment. Hollywood talent agency Endeavor and PIF “parted ways” after talks on the fund investing $400 million, a source familiar with the matter has said. 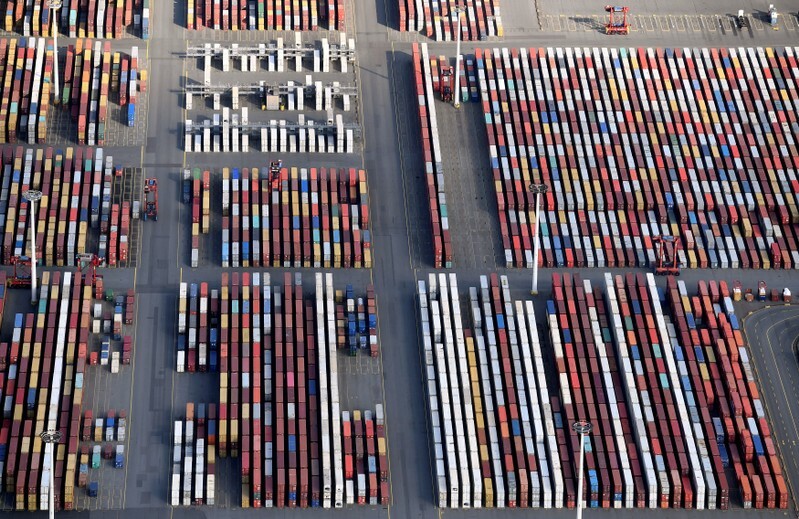 BERLIN/MUNICH (Reuters) – German business morale deteriorated in April, bucking expectations for a small improvement, as trade tensions hurt the industrial engine of Europe’s largest economy, leaving domestic demand to support slowing growth. The Munich-based Ifo economic institute said on Wednesday its business climate index fell to 99.2 in April from an upwardly revised 99.7 in March, the first rise after six straight declines. The consensus forecast for a rise to 99.9. Ifo sub-indices on current conditions and expectations fell in April. Last week, Economy Minister Peter Altmaier said that Berlin expected gross domestic product to grow by 0.5 percent this year after an expansion of 1.4 percent in 2018. The government had already cut its 2019 forecast in January to 1.0 percent growth from 1.8 percent previously. Long the euro zone’s economic powerhouse, Germany is in its 10th year of expansion, but only narrowly avoided recession last year. German exporters are struggling with weaker demand from abroad, trade tensions triggered by U.S. President Donald Trump and business uncertainty caused by Britain’s planned departure from the European Union. Late last month, German lighting company Osram cut its forecast for the fiscal year 2019, citing market weakness in the automotive industry, general lighting and mobile devices as well as a broader economic slowdown. A delay to Brexit, which leaders from the remaining 27 EU countries granted Britain earlier this month, did not buoy German business morale. “The uncertainty has receded slightly, but is still very high,” Wohlrabe added. In a fresh development in the trade difficulties unnerving German businesses, Trump said on Tuesday European tariffs facing motorcycle manufacturer Harley Davidson Inc were “unfair” and vowed to reciprocate. The difficult trade environment means that Germany’s vibrant domestic demand, helped by record-high employment, inflation-busting pay increases and low borrowing costs, is expected to be the sole driver of growth this year and next. Germany’s HDE retail association on Wednesday confirmed its forecast that sales would rise 2 percent this year, marking a 10th straight year of growth. “The domestic economy remains a pillar of support,” said Ifo’s Wohlrabe. However, the HDE added that although it did not yet have a forecast for 2020 sales, it expected the industrial slowdown to affect retailers. LONDON (Reuters) – Ukraine has entered uncharted political waters by choosing Volodymyr Zelenskiy, a comedian with no previous political experience and few detailed policies, as its new president. Zelenskiy is the latest anti-establishment figure to unseat an incumbent leader, both in Europe and further afield, but he has a lot to get to grips with. Below are five big questions investors and the international community have. 1/STRIKE WHILE THE IRON IS HOT? Zelenskiy is expected to take office next month and his ability to work with Ukraine’s parliament, the Rada, will be crucial to meeting the expectations of his voters. The president appoints the head of the state security service, the head of the military, the general prosecutor, the central bank governor and the foreign and defense ministers. But parliament must confirm each appointment — and there’s the rub. While Zelenskiy beat incumbent Petro Poroshenko decisively in Sunday’s presidential vote, parliamentary elections are not due until October and opinion polls suggest he is unlikely to win an outright majority. That means he would need to ally with at least one other party if he is to get many of his policies and appointments through. The other alternative is to try to bring the elections forward in order to capitalize on the momentum from his presidential victory. With no political experience himself, investors want Zelenskiy to build a team with enough know-how to avoid any policy missteps. He does not actually have a full slate of policies yet but he brought in two former ministers as advisers for his campaign: former finance minister Oleksandr Danylyuk and former economy minister Aivaras Abromavicius. Danylyuk is rumored to be in line to become either foreign minister or the head of the presidential administration, which would give him a powerful gatekeeper role. “Zelenskiy might be inexperienced in foreign affairs but I think he will have plenty of choice of experienced individuals to serve as foreign minister, and will receive plenty of support, advice from Western governments,” wrote Timothy Ash of BlueBay Asset Management. International Monetary Fund aid has kept Ukraine’s economy above water so its ongoing support is seen as crucial, especially with around $3 billion (about 2 percent of GDP) of external debt obligations, including interest, coming due in the remainder of 2019. Another $5.5 billion (about 4 percent of GDP) must be repaid in 2020. But Ukraine’s patchy reform efforts led to repeated delays in its previous IMF program that ended up disbursing only $8.7 billion of a planned $17.5 billion. That was replaced by a new $3.9 billion Stand-By Arrangement (SBA) in December. While Kiev hopes for another tranche of that money as early as next month, investors will want to see a fuller program put back in place soon. It could be an interesting negotiation. 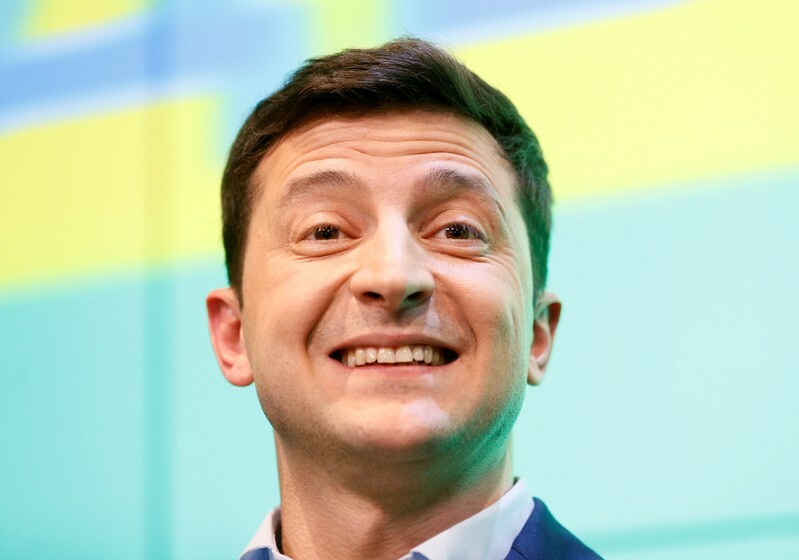 Zelenskiy already wants to talk the IMF about reversing some gas price rises the Fund saw as crucial to mending Kiev’s finances. Ukraine’s economic backdrop has improved in recent years though, with much smaller twin deficits (2-3 percent of GDP), lower public sector debt (just over 60 percent) and a stable currency. It also has over $20 billion in FX reserves, which is over four months of import cover, according to S&P Global. One concern is Zelenskiy’s ties to oligarch Igor Kolomoisky, the former owner of Ukraine’s biggest lender PrivatBank, which was nationalized in 2016. With the international community already concerned about corruption and influence, some have raised questions about what their relationship might mean for the future of PrivatBank and other interests of Kolomoisky in Ukraine. A court ruling last week could threaten to overturn the nationalization of PrivatBank. The central bank has said it will appeal — in fact there could be many appeals as well as other legal manoeuvres — but any sign that Zelenskiy might be in Kolomoisky’s camp on this could do serious damage, not least to relations with the IMF. As world leaders clamored to offer their congratulations to Zelenskiy, one notable name was absent: Russian President Vladimir Putin. How the Russian-speaking Zelenskiy handles Ukraine’s relationship with Moscow will go a long way to determining the success of his term in office. 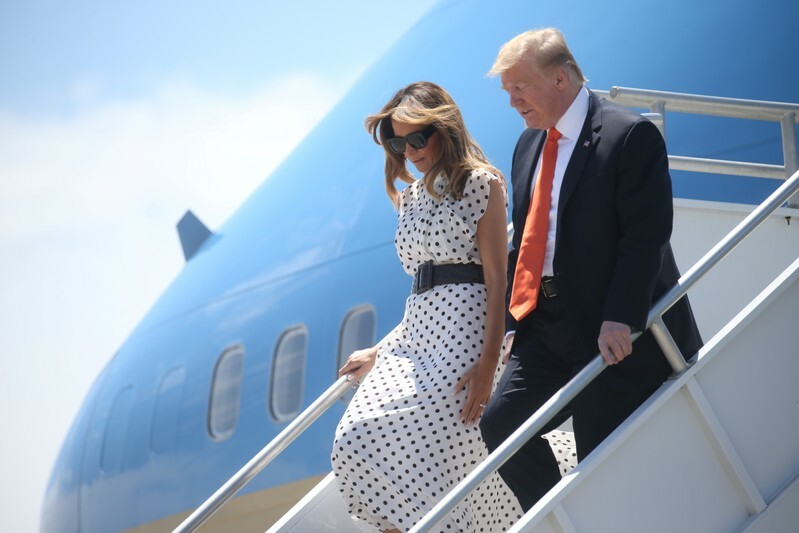 He has already suggested taking a fresh perspective to try to secure peace with Moscow, while pushing ahead with European Union-friendly moves. That could prove a difficult path to tread. For its part, Russia has signaled it intends to respect the vote of the Ukraine people, although Putin is not planning talks with Zelenskiy. Also rumbling in the background is a legal dispute between the two surrounding Ukraine’s $3 billion Eurobond, which Moscow wants repaid in full but which Kiev argues should have been written down along with most of its other debt in 2015. Any repairing of ties could also bring rewards for Ukraine. Improved relations could help it regain control over the separatist-controlled east, as well as cheap gas and major investment, a Kremlin ally in Ukraine said last week.